Archangel Metatron connects in this channeled angel message which will assist you in connecting with the powerful transformational energy of love which offers you an opportunity to begin something new, or redirect your course, aligning with your highest and best possible path. This message will help you through this time of transformation by offering light filled and specific spiritual guidance. You can listen to the .MP3 recording of this message by clicking the following link. Right click to save to your computer (ctrl click mac). Or press and hold to save on most phones/ tablets. Greetings. I am Archangel Metatron, and I greet you in this now moment, in a vortex of unconditional love and light and unity energy. I invite you to relax your body and your mind and tune in now to your heart, for as you have heard, love is the way to accelerate your evolution. Love is the way to manifest blessings, abundance and joy in your life. Love will open your spiritual channels, anchor you in the new crystalline energy of earth, and align you with your highest and best possible purpose. And dear one all this is true. Love serves you. Open your heart. Integrate this love energy into your being, allowing love to flow in to you, around you and through you. Feel your heart open wider than it has ever been. You are safe in a place, you are protected. And indeed, this new level of opening through love allows you in this now, this very moment, to become realigned with the path that is indeed for your highest good. You will be given opportunity after opportunity to realign with your highest potential, your divine path and blueprint. Understand that if you choose actions, thoughts, situations that are not in line with what you really want, with what is your authentic path, you will feel off. The light energy on the planet now is strong. It is powerful and it is potent. And its purpose is to realign you with who you are becoming, with who you authentically are as spiritual being, and with what your higher self truly wants. Moving into maintaining your love vibration in the fifth dimension as you live in peace, this is a transition you are embarking on. And so, know that during this emotionally charged time, it will be easy for you to give in to your mind, to give in to your fears and doubts, especially when large challenges and changes appear on your path, confronting you. But remember, the challenges are opportunities for you to realign. And so, as an example; when a job is lost, there is the higher, greater position awaiting you. If you choose to give into fear, into scarcity and into lack by focusing on your lost job, you will not align with this new higher manifestation. But if you accept the challenge as it is given to you, embrace that you are in the midst of a new life lesson and new opportunities are opening before you. Then and only then, only with love and with acceptance, can you move forward and align with the greatness that is in escrow that is ready to manifest in your life. You can choose to align with these blessings. This transitional period is powerful. It may feel or be considered chaotic, and there will be many turns and bends and bumps. But it is important for you to remember that, ultimately, the goal is to bring you closer to God, closer to your authentic self, closer to the enlightened, evolved spiritual being that you are becoming. What on your path no longer serves you? Be willing to release these things in the new energy, for when you do, a greater, higher vibration will enter. And so, release your addictions, release your fears and doubts, and open. Open to allow joy and friendship, prosperity, companionship and love into your life. These are the vibrations that serve you in this new energy. Be patient with yourself and, in every moment, observe. What are you feeling? Are you focused on thoughts that are causing you to feel bad? Do you have a knot in your stomach? Is there tension being held in your body? Observe your mind, observe your feelings and know that anything that does not feel good, does not feel right, does not feel like it is propelling you and aligning you with what you really want, release it. Right now, let any tension from the past few days. Let these tensions you have experienced along with doubts or fears, or feelings of uncertainty come into your awareness. Let these feelings or states of being resonate in your body, feel them now and then release them into the light. Remember that whenever you feel something that is not enjoyable, that is not what you really want, release it with your thoughts, “Angels, take this pain from me, release it into the light.” And in doing so, you create space for love energy, for crystalline light to fill your being and accelerate your evolution, aligning you with love, with God, with peace, joy, vitality and abundance. You deserve this. You walk this path. Remember, now is an emotionally charged time. And so, when someone says something that strikes you the wrong way, release it. Do not hold onto these dense feelings, judgements or grudges for they merely weigh you down. When stress and tension and chaos fill your mind, your body, and your reality, take a moment to just be. Allow this energy to be, become aware of it and then release your grip upon it, opening yourself up to experience the peace you deserve, the love and light you deserve. You are moving, as humanity and as an individual, into the higher realms, the realms of light. This is not an easy transition, but you are supported throughout the ascension process. Remember the fundamental practice here of releasing your hold of that which you do not want, will allow that which you do to enter into your life. You deserve all the best that the world has to offer and you are supported in aligning with this. But it takes your focus and your commitment. Plant positive thoughts in your subconscious mind. Replace the subconscious fears and doubts with new affirmations and intentions for what you do want and desire. Write down everything that you want. Feel like you already have these things, these feelings, and the joy you feel they will bring. Experience what it will feel like to have what you want, to be in the energy of love, peace and abundance, and give thanks for these future manifestations you desire now. Trust that through this process of change you are going through now, great blessings can and will manifest in your life. When challenges happen, accept them, and give thanks for them knowing they seek to align you with your highest and greatest good. Ask, “What lesson am I needing to learn here?” Tune in to your heart and feel the answer, know the answer, learn the lesson, and then be open to the idea that greater aspect of this challenge that will appear. What is on the other side when you make it through the challenge? What are you becoming? What is falling away to make room for something even better? Choose this perspective now. You are ready and you are supported in taking a huge leap in your development, in your growth. Duality is the world in which you live, yes. But you no longer have to experience suffering when you release attachment to what is. Learn lessons, rise above challenges, and integrate the light available to you. Love each other, love yourself and know that, indeed, great blessings await you. Challenges…? Release attachment to these, and when the challenge appears, remember that love, compassion and patience are your allies in completing the lesson, in rising above the challenge, and experiencing the outcome or blessing on the other side. Love serves you, love raises your vibration, love sustains you. Open your heart to this, allow love to flow through you and to cleanse you. And finally now, imagine a shield of light around your energy body and around your aura, protecting you. Return to this protective shield often, for it is true that with your auric field intact, strong, negative entities, attachments and negative energy from others cannot latch onto you. It is through negative thinking, fear, doubt and other damage to your aura that you become susceptible to these negative experiences. So keep your auric fields strong and intact, support yourself with healthy foods, pure water and light energy, positive words and thoughts. Do this and you shall succeed in your mission here on earth. You will make it through this great transformation and change, and you will be able to step into the next highest version of yourself, the spiritual being that awaits you to integrate. You are ready. Choose love, choose light, go with the flow, and know all things are possible for you. Allow, trust and love. I am Metatron. I leave you with many blessings of the light and with the reminder that I am always near. Call upon me for assistance and I shall answer, greeting you once again in the now, in unconditional love and light. Thank you for this meditation Melanie! Bless you! Absolutely beautiful. I love Metatron’s words and energy – you bring it through beautifully. This was just what I needed to hear right now. I am so grateful to you, Melanie, and Archangel Metatron. Dear Meteron angel please protect keep me grounded healthy. I look forward to a rewarding blessed life. Bring peace respect and strength to my soul. Keep me cool calm and collected. 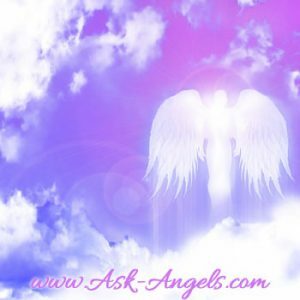 Thank you Melanie for Archangel Metatron’s very powerful and uplifting message, loved this message!! !It talked about combining challenges to come but with mant insightful tips on how to protect oneself and always to remain with an open loving heart in your transformative times to come. Amazing!!!! One important message from Metitron is to ask your angels for help. I think to connect with higher realms we need their assistance in ascension with their protection. I fear less knowing this and it helps me to release the negativity. Thank you heavenly beings for your help to save humanity. Thank you Ms. Beckler for using your gifts to spreadi these angel messages. I am just very vulnerable and hurt sad upset at this time.someone I love and can’t be with has cut me off completely.I so much just want to be friends for all concerned.I feel so useless and worthless when this happens like today.can’t help how I feel but reading what I just read gave me hope..